Get ready for some tasty treats from blogger Jackie Bruchez of TheSeasideBaker.com who has just released her first cookbook, "Decadent Fruit Desserts: Fresh and Inspiring Treats to Excite Your Senses"
Paloma Tart from "Decadent Fruit Desserts," the first cookbook from Jackie Bruchez of TheSeasideBaker.com. Photograph ©Jackie Buchez. 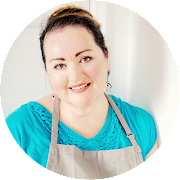 "Growing up, I was never a fan of pies and tarts," states Jackie Bruchez of the blog, The Seaside Baker, in the opening of the chapter "Upping the pie game" from her first cookbook, "Decadent Fruit Desserts: Fresh and Inspiring Treats to Excite Your Senses." Her appreciation for sun-kissed fruits nestled into buttery shells didn't take root until her days as an exchange student in Switzerland that saw her visiting France on free weekends. Taking in the photo of Jackie's Paloma Tart, with it's gorgeous pink-hued grapefruit custard and billowy white clouds of lime-infused whipped cream, we are so glad she embraced the luscious beauty of tarts! 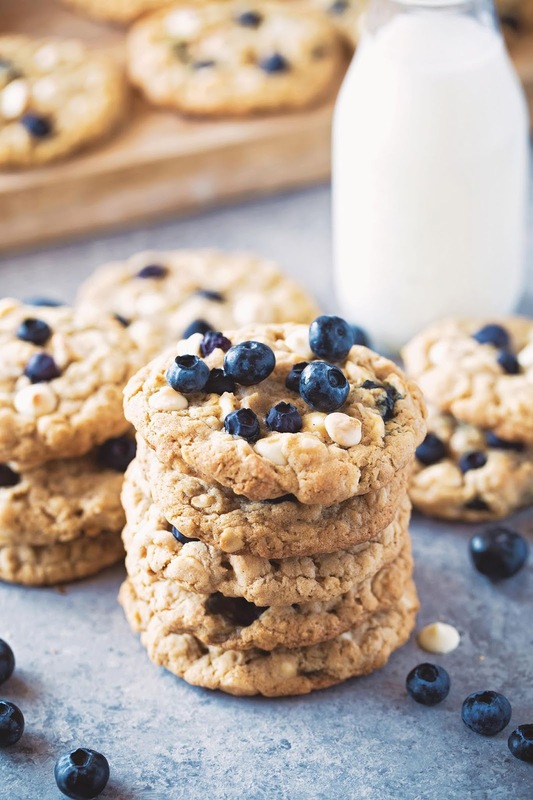 Blueberry-White Chocolate Oatmeal Cookies from "Decadent Fruit Desserts." Photograph ©Jackie Bruchez. Like many of us who love to cook and bake, Jackie's earliest culinary memory is sharing the kitchen with a family member. "I can remember as early as elementary school that my grandfather would allow me to miss school for about a week at the beginning of each November," said Jackie. "For that week, we would make hundreds of pounds of Italian cookies to give to friends and family over the holidays. We would have pans of cookies in every nook of the kitchen and dining room until we were ready to package them into old popcorn tins." I asked Jackie when it was that she first realized she loved to bake. Again, Switzerland was the catalyst. "When I was first married," began Jackie, "my husband and I lived in Switzerland. I missed everything American, including the desserts." So, her grandmother sent Jackie a cookbook. Devouring its pages, Jackie baked nearly every recipe in the book. 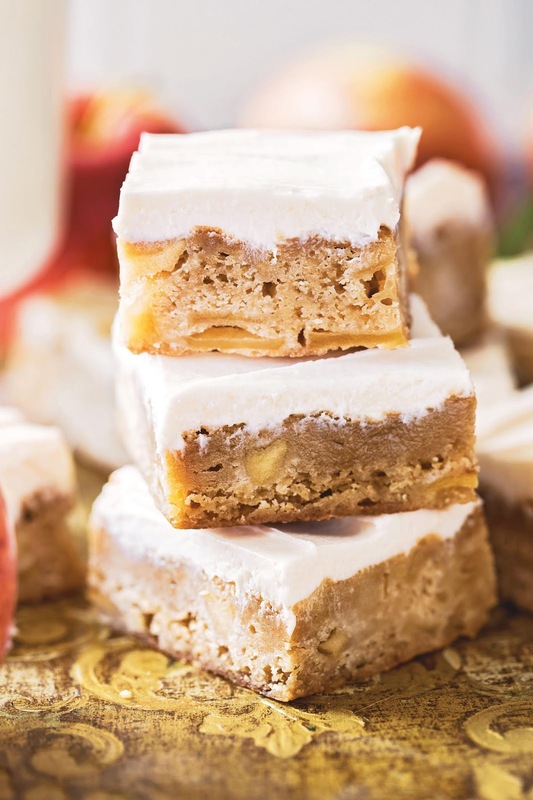 "After having only used box mixes up until that point, I couldn't believe how long it took me to cream the butter and sugar with my hand mixer," she continued. "But it was the best darn cake that I had ever had, and I became obsessed with baking ever since. Jackie tells me that working on this cookbook was a labor of love born out of her love of gardening, taking her kids to u-picks and farmers markets. Often those trips would result in an overabundance of produce. "While we love to eat as much as we can before it becomes too ripe, sometimes that's impossible," said Jackie. 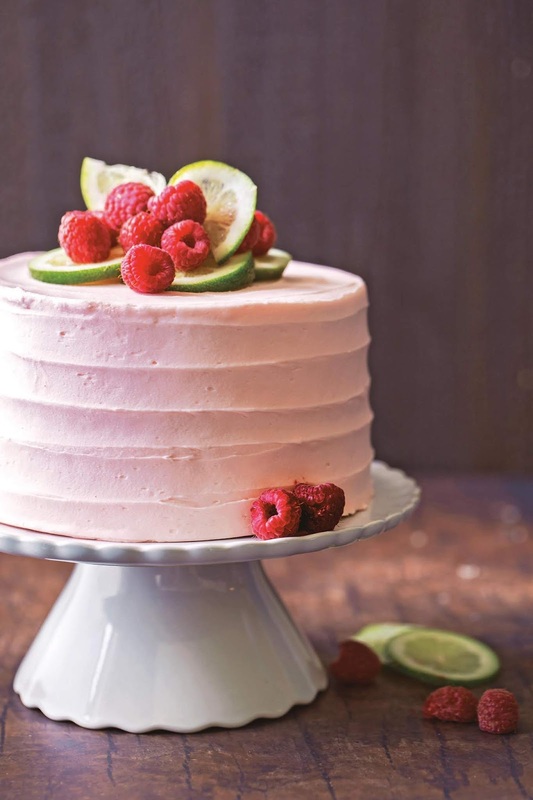 Raised to never waste, she started incorporating the produce into her baking. 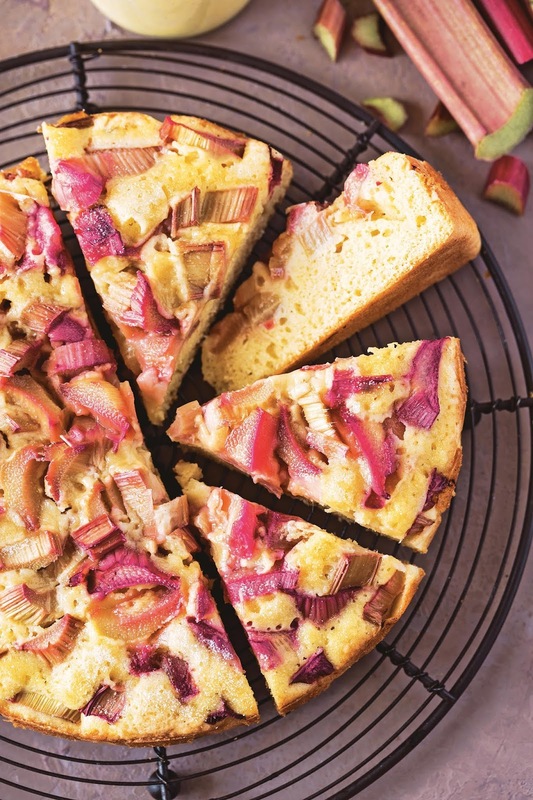 "I wanted to show people how they can turn those simple apples into something glorious." Plus, she added, fruit was one of her favorite things to photograph. "It truly is nature's candy!" "Decadent Fruit Desserts" is filled with one mouth-watering recipe after another. Each of the 65 recipes has an accompanying color photograph so you know exactly how the dessert should look, making it difficult to decide which recipe to tackle first. The design of the book is very user-friendly, from the font choices, to their point size, to headnotes that give some background, often with descriptions that tell you what to expect. For example, the headnote for Strawberry-Rhubarb Eton Mess declares that the dessert may appear messy "but it works so well." After all, it's been "a staple dessert in England since the late 1800s!" And bonus! The cookbook also includes a triple – and sometimes quadruple – reference index, which may not mean a lot to some people but poorly edited indexes are a pet peeve of mine. What a joy it was to read this index and discover the many ways to look up a recipe: by the produce you have sitting on your counter (plums), to a hankering for a cake (cakes/Plum Cornmeal Upside Cake), to knowing you're specifically in the mood for an upside cake (Upside-Down Cake/Plum Cornmeal), to wanting to use up the last bit of cornmeal in your cupboard (Cornmeal Cake). A well-planned index is crucial, especially to a novice baker who isn't quite sure what to start with. 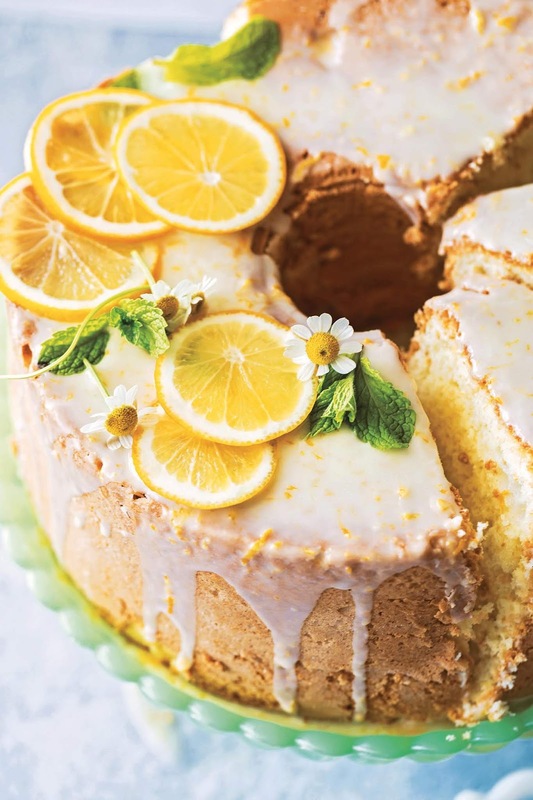 If you're a reader of The Seaside Baker, you know that there are years worth of dessert recipes from cakes and cookies, to tarts and bars, from mousses to custards. I asked Jackie how in the world she could possible think up 65 new recipes for a book? "I am fortunate to have lived in different states and countries and (have) done quite a bit of (traveling)," Jackie told me. All that exposure to various cuisines has kept her experimenting in the kitchen, trying to replicate those flavor combinations. "Now it doesn't always work right away, but I will keep at it until it does!" In fact, Jackie came up with an additional 30 recipes above what her publisher had asked for. After having done the difficult job of recipe developing, cutting recipes was just as difficult. "I really didn't want to cut any of them. They were my babies!" In the end, she went with the recommendations from her publisher as to which recipes to keep and which to cut. Fortunately, all that hard work won't have been in vain. She has plans for those cut recipes: they will make their debuts on her blog. Just for fun, I asked Jackie if there was one dessert that summed her up as a baker, what would it be and why? "This is a tough one," exclaimed Jackie. "I would like to think I am a fruit filled layer cake. I've got that sweet tooth satisfying frosting on the outside, but the intricate layers of perfectly baked cake and fruit on the inside. Because what's on the inside is the most important after all, right?" 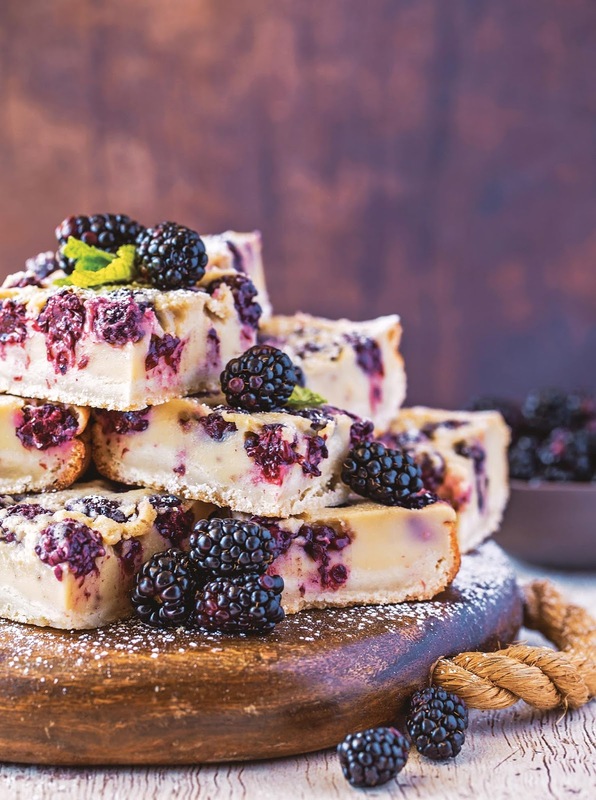 "Decadent Fruit Desserts: Fresh and Inspiring Treats to Excite Your Senses"
Recipes and photographs by Jackie Bruchez. Published by Page Street Publishing Co.
Softcover; Full color; 160 pages; 65 recipes. 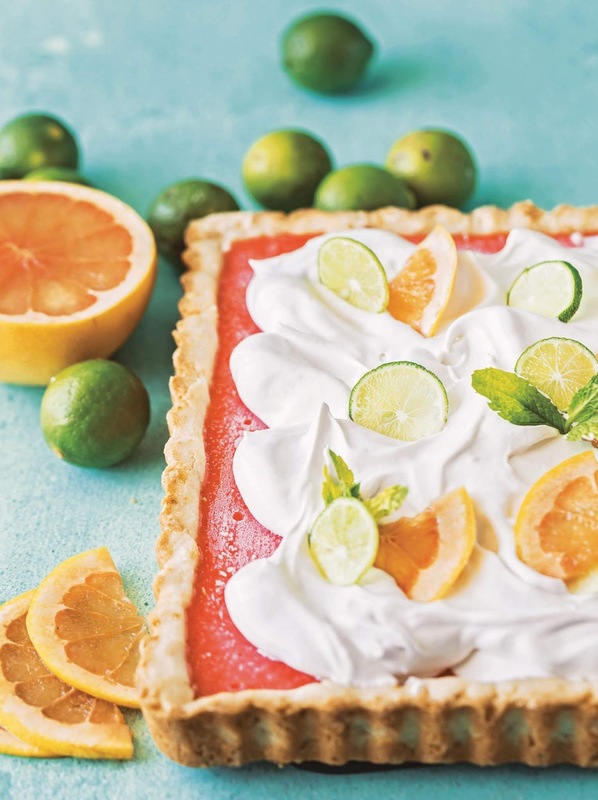 Inspired by one of my favorite cocktails, this tart features a luscious grapefruit curd with a touch of tequila in a buttery lime and coconut crust and topped with a lime-infused whipped cream. tart pan with nonstick cooking spray. it's golden brown, about 23 to 25 minutes. Cool it for 10 minutes. tablespoon (15 g) at a time, and then add the tequila, if using. tart to the refrigerator to chill for at least 1 hour. the cream onto the tart and garnish it with lime and grapefruit wedges. before adding the citrus juice to avoiding curdling. Reprinted with permission from Decadent Fruit Desserts by Jackie Bruchez, Page Street Publishing Co. 2019. Photo credit: Jackie Bruchez. Disclosure: Page Street Publishing provided me a copy of "Decadent Fruit Desserts: Fresh and Inspiring Treats to Excite Your Senses" for editorial review. I was not otherwise compensated nor instructed on what to write. As always, opinions expressed are my own and those of my interviewee. I only review items I truly believe will be a benefit to my readers. This post does contain an affiliate link to Amazon. Purchasing through the link doesn't cost you any more but it does provide a few pennies to go to the cost of maintaining this website. Thank you for supporting my efforts to bring you fresh ideas for your culinary journey!